So “assemblage” does not refer to a natural kind or a social essence, but rather characterizes a wide range of social things, from the sub-individual to the level of global trading relationships. The social entities found at all scales are “assemblages” — ensembles of components, some of which are themselves ensembles of other components. But assemblages do not have an essential nature; rather there are important degrees of differentiation and variation across assemblages. By contrast, we might think of the physical concepts of “metal” and “crystal” as functioning as something like a natural kind. A metal is an unchanging material configuration. Everything that we classify as a metal has a core set of physical-material properties that determine that it will be an electrical conductor, ductile, and solid over a wide range of terrestrial temperatures. A particular conception of an assemblage (the idea of a city, for example) does not have this fixed essential character. DeLanda introduces the idea that the concept of a particular assemblage involves a parameter or knob that can be adjusted to yield different materializations of the given assemblage. An assemblage may take different forms depending on one or more important parameters. What are those important degrees of variation that DeLanda seeks to represent with “knobs” and parameters? 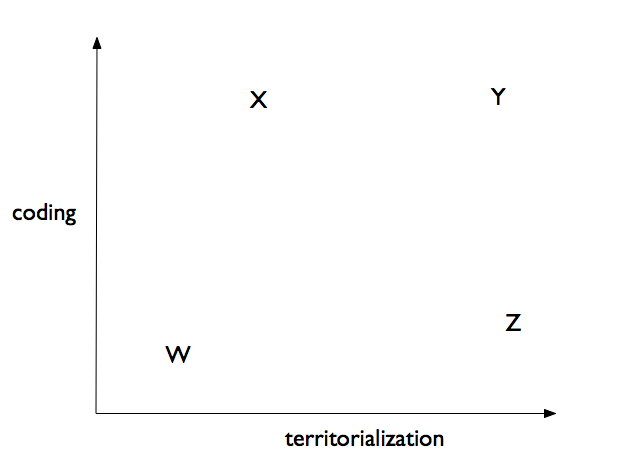 There are two that come in for extensive treatment: the idea of territorialization and the idea of coding. Territorialization is a measure of homogeneity, and coding is a measure of the degree to which a social outcome is generated by a grammar or algorithm. And DeLanda suggests that these ideas function as something like a set of dimensions along which particular assemblages may be plotted. Here is how DeLanda attempts to frame this idea in terms of “a concept with knobs” (3). This is confusing. We normally think of a concept as identifying a range of phenomena; the phenomena are assumed to have characteristics that can be observed, hypothesized, and measured. So it seems peculiar to suppose that the forms of variation that may be found among the phenomena need to somehow be represented within the concept itself. Consider an example — a nucleated human settlement (hamlet, village, market town, city, global city). These urban agglomerations are assemblages in DeLanda’s sense: they are composed out of the juxtaposition of human and artifactual practices that constitute and support the forms of activity that occur within the defined space. But DeLanda would say that settlements can have higher or lower levels of territorialization, and they can have higher or lower levels of coding; and the various combinations of these “parameters” leads to substantially different properties in the ensemble. If we take this idea seriously, it implies that compositions (assemblages) sometimes undergo abrupt and important changes in their material properties at critical points for the value of a given variable or parameter. These ideas about “knobs”, parameters, and codes might be sorted out along these lines. Deleuze introduces two high-level variables along which social arrangements differ — the degree to which the social ensemble is “territorialized” and the degree to which it is “coded”. Ensembles with high territorialization have some characteristics in common; likewise ensembles with low coding; and so forth. Both factors admit of variable states; so we could represent a territorialization measurement as a value between 0 and 1, and likewise a coding measurement. When we combine this view with DeLanda’s suggestion that social ensembles undergo “phase transitions,” we get the idea that there are critical points for both variables at which the characteristics of the ensemble change in some important and abrupt way. 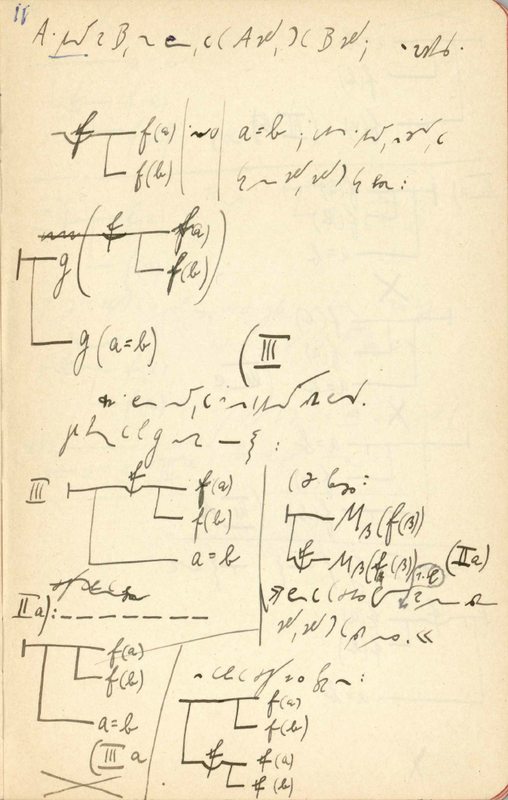 I think this explication works as a way of interpreting DeLanda’s intentions in his complex assertions about the language of assemblage theory and the idea of a concept with knobs. Whether it is a view that finds empirical or historical confirmation is another matter. 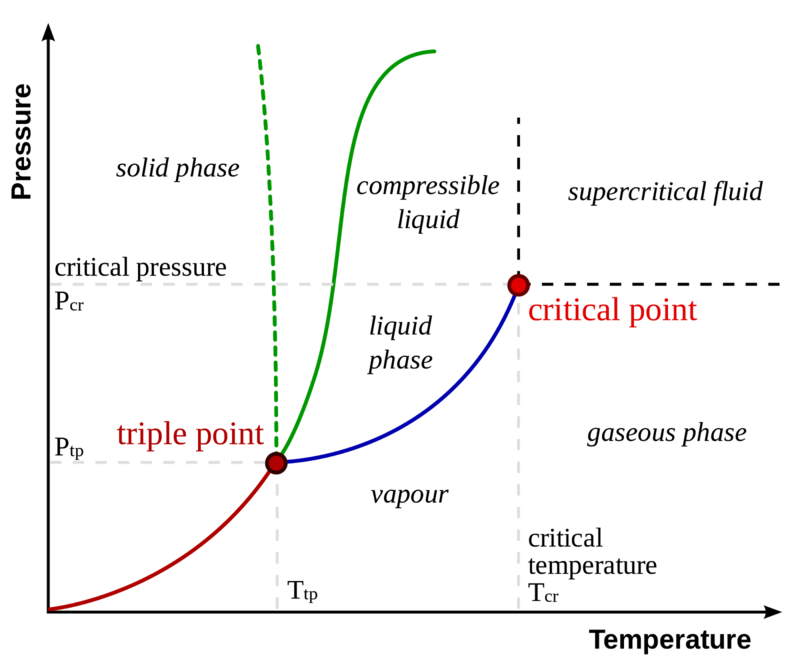 Is there any evidence that social ensembles undergo phase transitions as these two important variables increase? Or is the picture entirely metaphorical?